I am just an ordinary woman turned "extraordinary" through circumstances. I touch others through my own tragedies by giving them hope and encouragement and reminding them that sometimes the richest people are those who have endured tragedy, pain, sadness, and struggle, allowing them to lead a more abundant life. Never would I change my life experiences. In Alena Naron's new book ‘Expecting and Accepting The Unexpected’ presents new theory on manifesting individualized, desired change in life. Parting the Red Sea or turning water into wine may take an act from God but turning most desires or life setbacks into everyday miracles is within your power according a new book by personal growth writer, Alena Naron. In “Expecting and Accepting The Unexpected: Daydreaming with God” (published by Balboa Press) Naron provides readers with a new approach to manifest personal desires, change, and satisfaction through a series of practical empowerment thoughts and actions. Neither a preacher or a counselor, Naron is a self-proclaimed fashionista who has spent most of her time on the runway and selling vintage fashion. 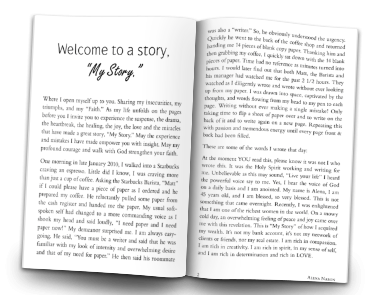 Hers is not a story of “finding” God, but one of financial adversities, terminal illness, and sexual abuse that was overcome time and again through a lifetime of personal growth and faith. The book’s ultimate goal is to help readers strengthen their faith in God, making their own adversities look less like parting the Red Sea and more like sewing a button. 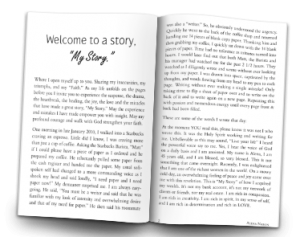 Inspired by actual miracles that Naron has witnessed, “Expecting and Accepting The Unexpected: Daydreaming with God” shows readers how they too can achieve incredible things by daydreaming with God and encourages them to try out her way of life.